Picking a venue for a corporate event can be tricky. Lubbock has several options when it comes to corporate event venues, but one stands out from the rest – Four Bar K! So what makes our venue miles ahead of the rest? We have what you want, what you need and so much more. When it comes to corporate events having the available technology for presentations is important. At Four Bar K we offer a 90 inch TV capable of displaying powerpoint presentations, training videos, and anything else you might need to present to your staff. In addition to our powerful presentation capabilities, we also have reliable high-speed wifi and sound system. The sound system is rigged with wireless microphones for any and all public addresses. If you would like to offer options for eating during your corporate event, we have competitive packages for both continental breakfasts and lunch buffets. 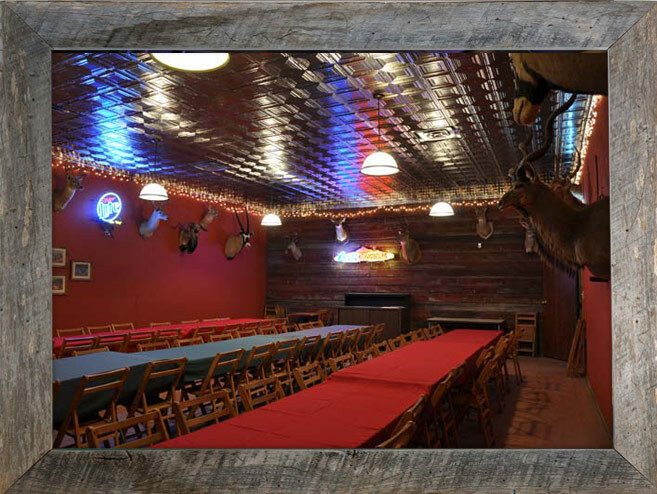 Want to wind down a bit towards the end of your corporate event in Lubbock? Ask us about our Happy Hour package that will add a bit of fun to your next event. We have a large space that is perfect for breakout sessions, rotating stations as well as small group work. Having space to collaborate in small groups as well as a space for large-scale presentations is one of the standout features of Four Bar K.